And then there was no streak. 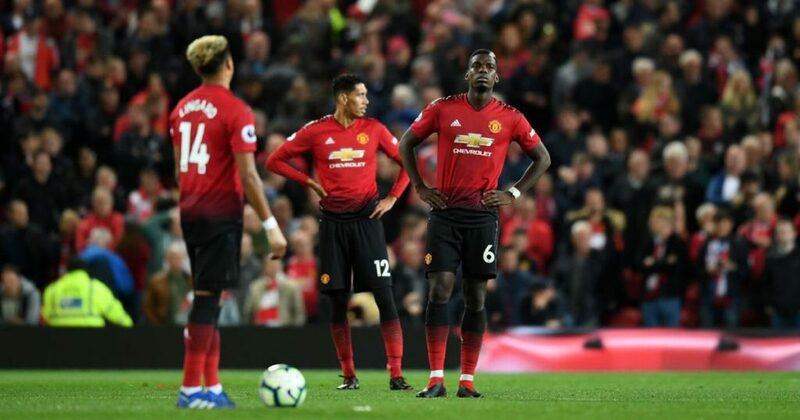 Manchester United have (finally) lost a match under Ole Gunnar Solskjaer, Unfortunately, it came at home to Paris Saint-Germain, in the first leg of the Champions League’s round of 16. Presnel Kimpembe and Kyllian Mbappe scored in second half to win it 2-0 for the French champions and inflict the first European home loss to Man United by more than one goal. Now the tie seems almost over, at least to most of the neutrals, and the Devils will have a truly enormous task in three weeks’ time. Here is what we learned from the match. Simply as that. They were without Cavani, Neymar and Meunier and still adapted amazingly in a 3-4-2-1 formation, to get the most out of Mbappe’s speed, Di Maria’s creativity, Dani Alves’ attacking-mindedness and still have enough defensive cover stop United. The Devils had just one shot on target on a European night at Old Trafford and that tells it all. The injuries to Martial and Lingard took a lot from United’s quality, as well, but in the end, PSG could have won this by three goals. Kyllian Mbappe truly is something, isn’t he? He was where all the danger was and everyone knew that – Man United, PSG, fans, everyone. And there was no stopping him. He scored a nice goal after sprinting in between Lindelöf and Bailly, but also had a couple of really good chances he spurned, especially the one from the first half. He also adjust to play as the centre-forward and showed maturity beyond his age. Something he does quite often. Paul Pogba did not have one of his best games. There were couple of lost possessions, one of which led to a really good chance for PSG. It was his red card from late on that showed another mistake of his. Pogba tried to get into a duel and win the ball by doing his best to shield the ball before opponent arrives. He was late, as he was against Dele Alli, and he caught the leg of Dani Alves really high off the ground. He might not have wanted to do that, but he deserved the sending off. Ashley Young’s body check on Angel Di Maria was, in essence, unnecessary. He wanted to make sure the Argentine felt his presence, but after that, it was completely the opposite. Di Maria made sure Young felt his presence with a great performance and two assists to seal the match. Young was several times late to track back on his right flank and Di Maria was often running away from him with ease. He is a good and useful player to have in the squad, but his lack of highest qualities was shown for everyone to see. This was a good reality check for Man United. They have seen what needs to be done, and while it is still not over, the club got a proper sign that things need to change. This is a team with a lot of talented players, but not with a lot of world class qualities. After Martial and Lingard got off, it was even more obvious how short United are on quality options.